Steven (Chicagoland, United States) on 15 December 2016 in Landscape & Rural and Portfolio. 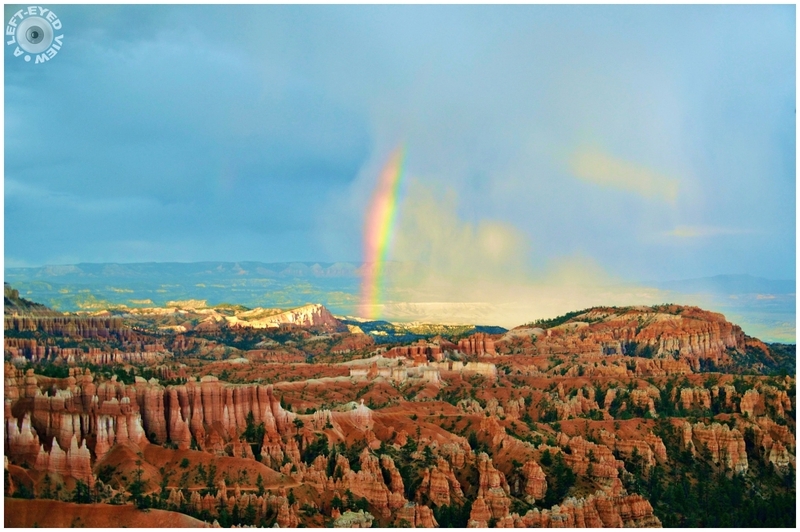 Rainbow spotted at Inspiration Point over Bryce Canyon. Storms came through in the early afternoon and I was hoping to capture evening colors settling over the Canyon. Instead, we were treated to a long-lasting rainbow. Quelle chance d'avoir pu capter ce suoerbe moment !! Wow !!! spectacular Mom. This was a lucky moment. Well used. Well done. Superbe et très belle ta photo!!! Wow... ! Splendid image ! This can't be real. AMAZING!! Instant magique ! C'est merveilleux ! The rainbow is a stunning vision over a gorgeous landscape. This is a "wow" photo, Steven. I love it ! The adverse weather did treat you to a great looking rainbow which you captured very well. Very inspiring! ;-) Quite beautiful. It's a lovely place never I saw! What a glorious finale to this photo ! Nothing more beauiful ! Very Beautiful place and MOMENT. Stunning view ... the colors and light are gorgeous !!! Le bon moment et l'endroit parfait..... Very Nice Steven. right place, right time. Nice nature scene. Pour couronner le tout, un arc-en-ciel ! Quelle chance ! Merveilleux arc en ciel sur ce décor de roche fabuleux. ... and Steve, don't forget, over there, is a pot full of gold waiting for you. Stunning !! Thanks for sharing !